Call it a family affair. Given these turbulent times, this debut release from four singing multi-instrumentalist sisters from Hubbardston – Rebecca, Betsy, Brianna and Melody Green – is a welcome slice of sibling harmony and country living put to music. Opening track “To Build My Dreams On” sets the amiable tone. Penned by Brie Green and featuring lines about the sun, land, water and fire, the tune forgoes instrumentation and rides along on the sisters’ shining voices alone, employing a group a capella delivery to charming effect and giving a preview of sounds to come. 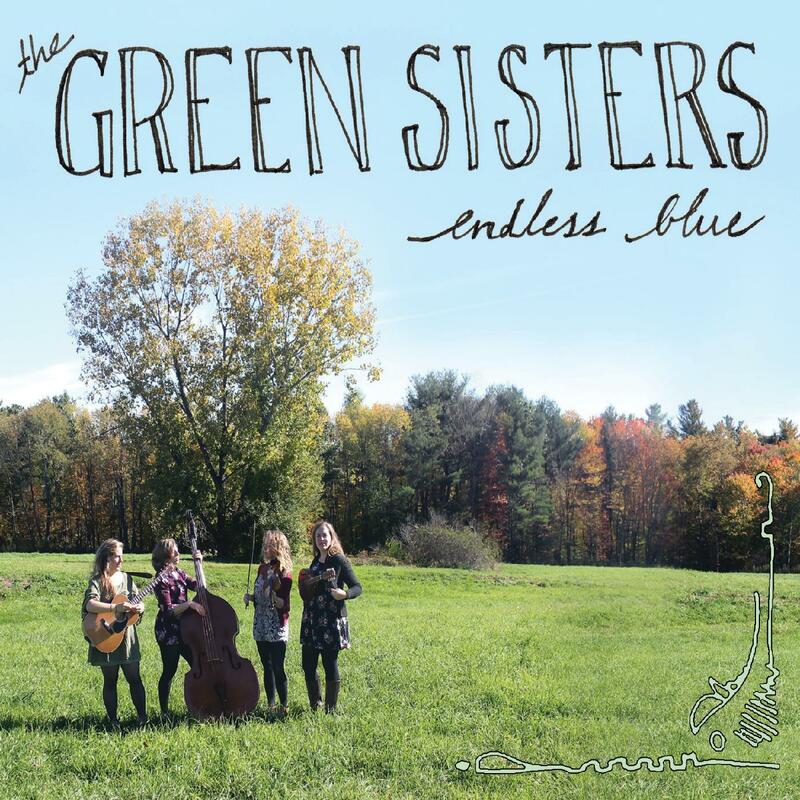 Since the Green Sisters grew up singing together while doing chores on the family farm, their practiced vocal interplay is what steals the show on Endless Blue. No matter which sister takes the lead, the backing of the others accents the proceedings often achieving the effect of sounding like one voice. The quartet picks up its instruments though for the album’s second number “Sailor’s Valentine.” Fiddle, guitar and mandolin, all appear to have their place in the mix and contribute to the song’s Celtic-tinged tale of a seaman and his love. Not content to stick with one traditional style, the sisters continue to merge multiple genres throughout the rest of the record’s run time. For example, “Walkin’ After Midnight” is perhaps best known as a country classic popularized by Patsy Cline. But re-interpreted here by the Green Sisters, the tune takes on a more jazz-inflected style exemplified by its string-bass intro and the group’s inventive vocal arrangements. Another merger occurs on the aptly-titled “Fiddle Medley.” For nearly six minutes, the sisters turn the track into an old-time and bluegrass instrumental showcase that picks up speed around the two-minute mark, while still allowing for a breakdown or two to spotlight the group’s string playing prowess. Elsewhere, the Brie Green written “Here and Gone” emerges as one of the album’s latter half highlights. Filled with reflective lyrics focused on the passage of time, the song is one of the record’s most mature efforts aided by both its engaging melody and the sisters’ sighing harmonies. The Green Sisters perform Aug. 16, 8 p.m., Luthier’s Co-Op, 108 Cottage St., Easthampton, (413) 527-6627, http://www.luthiers-coop.com/. For more information on The Green Sisters please visit https://thegreensistersfour.com/.